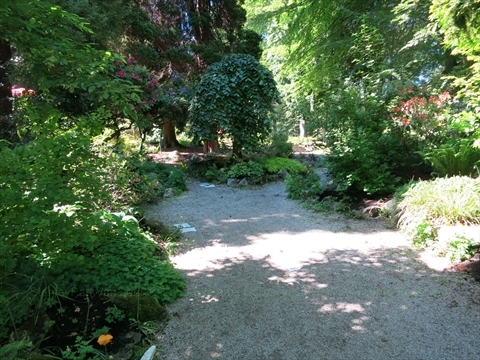 The Rock Garden is the city of Vancouver's first public garden. Built from 1911 to 1920 by gardener John Montgomery it became the most popular attraction in Stanley Park. Over the years, it became less popular and became overgrown until it was completely forgotten. In 2006, there was a big windstorm that hit Stanley Park and knocked down many trees. This clearing of trees, revealed part of the rock garden. The great-grandson of the gardener, Chris Hay, found what remained of the garden and has worked ever since to have it partially restored and recognized. This is one of the many interesting stories about Stanley Park. Part of the garden starting from the plaque has been restored. However, there are parts of the garden yet to be found especially on the other side of the pavilion in the bush next to the Rose Garden. If you like gardens, the rock garden is definitely worth a look! The first public garden of the city was created from 1911 to 1920 by master gardener John Montgomery from unwanted boulders excavated for the adjacent park pavilion. Stretching from Pipeline Road to Coal Harbour this early park attraction had by the early 1950's become partially abandoned, its story forgotten until revealed by the devastating windstorm of December 15, 2006. 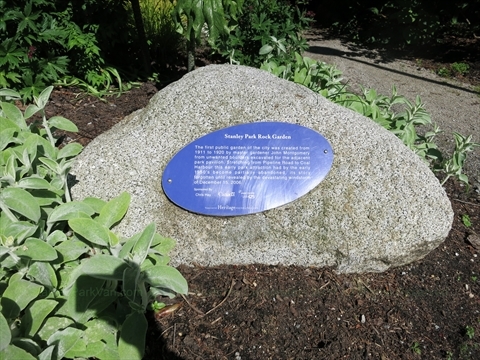 Where is the Rock Garden in Stanley Park? The Rock Garden is located next to the Stanley Park Pavilion on the east side. Nearby is Malkin Bowl and the President Harding Memorial.